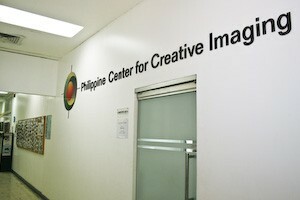 What is Philippine Center for Creative Imaging? Founded in 1998 by lead members of IdN (International Designers Network) Club Philippines, the Philippine Center for Creative Imaging, or PCCI, is the premier training hub for the country’s growing pool of digital artists and photographers. It conducts intensive, hands-on workshops in graphics software and their real-world applications. PCCI is the first Adobe Authorized Training Center in the country. The AATC certification is your guarantee that PCCI's courses and training on Adobe products meet the Adobe standard of excellence. Most of the Adobe courses are led by Adobe Certified Experts (ACEs) and some are led by Adobe Certified Instructors (ACIs). An ACE is a person who has passed a proficiency exam on a specific Adobe software product. An ACI is an ACE who passed the CompTIA CTT+ (or equivalent). Recognizing PCCI’s expertise in the field of digital photography and imaging, Canon Philippines has designated PCCI as its Digital Learning Center (DLC) in the country. As the Canon DLC, PCCI provides Canon digital camera users organized instruction on maximizing the use of their cameras, scanners and printers. PCCI is the first and only Corel Training Partner (CTP) in the Philippines. As a CTP, PCCI offers instructor-led training on Corel products, including the latest version of CorelDRAW and Painter. 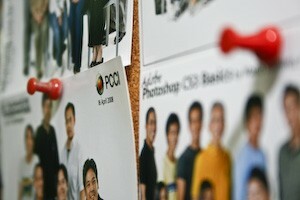 PCCI is the first and only Wacom Authorized Training Partner in the Philippines. All computer workstations are equipped with Wacom graphics tablets. Wacom pen tablets allow our students to draw and paint in a way that is much more natural and ergonomic than using a mouse. This reduces the risk of wrist-and-arm strain that result from prolonged mouse use. PCCI’s resident and principal instructor is a CompTIA Certified Technical Trainer (CTT+). CompTIA (Computing Technology Industry Association) is the leading global IT trade association. The CompTIA CTT+ certification is the cross-industry credential recognizing excellence in instruction. PCCI emphasizes technology transfer to ensure the continued development of the graphics and publishing industry. PCCI does this by tapping practicing digital artists to lead its seminars and workshops. This way participants benefit from the instructors’ real-world experience. PCCI uses the instructor-led, participant-centered approach to technical training, which has been proven highly effective in providing the right environment conducive to fast and effective learning. It is the same method that the CTT+ program emphasizes. Training experts agree that learning by doing is the fastest, most cost-effective way to acquire new skills. And doing it in a workshop environment promotes a high-degree of interaction and involvement among participants. A workshop is a short, intensive, total-immersion learning experience. In addition to hands-on workshops, PCCI offers a number of one-day seminars. These seminars, while not hands-on, explain in simple terms the basic concepts and issues participants need to grasp before taking the corresponding hands-on courses. When needed, PCCI instructors present the differences between the Mac version and the Windows version of an application. This ensures that both Mac users and PC users benefit equally from the course. 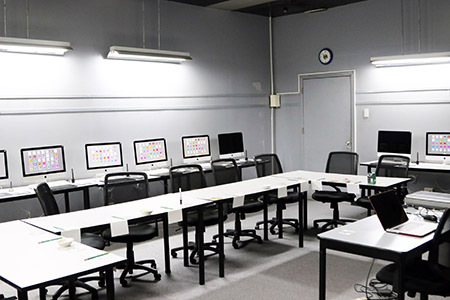 PCCI’s fully networked facility offers each workshop participant the use of a Mac Pro or an iMac Core 2 Duo (with both OS X and Windows XP), a Wacom graphics tablet, as well as DVD-RW drives, flatbed scanners, high-end film scanner, and Canon photo-quality printers. PCCI also has a small library of books and periodicals for in-house use by class participants.